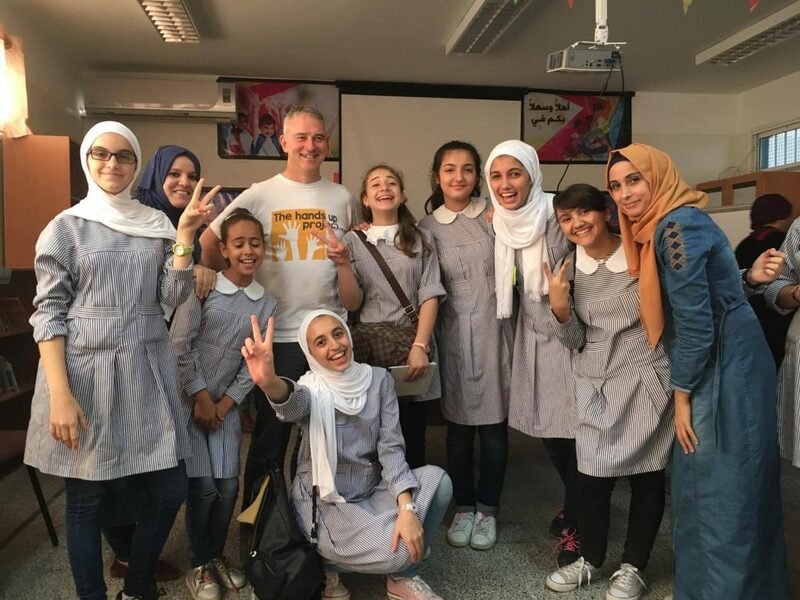 The Hands Up Project, started by Nick Bilbrough, teaches English through online storytelling and other remote learning activities. The initiative has two aims. Firstly to provide an interactive and motivating learning experience to children in contexts where exposure to English is limited. Secondly to build up a freely accessible bank of resources for training and development to teachers who work in such contexts. 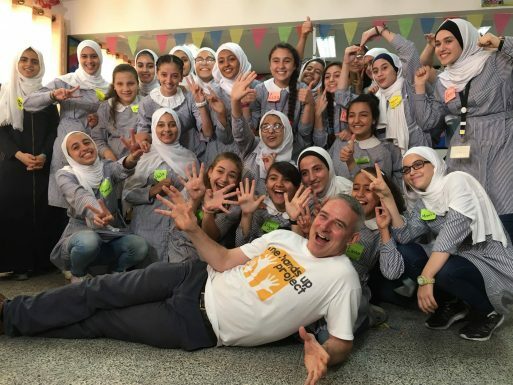 Last year, one of our teachers joined this project, and this is his story. Enjoy! I fear that hundreds of pages wouldn’t be enough to describe how this project has affected me, nor to retell all the anecdotes from sessions. Having grown up in Serbia, where a refugee crisis coupled with war damaged the life standard and economy, I considered the opportunity to learn English from an early age a true privilege. My parents are tailors who worked two jobs just so that my sisters and I could attend a private English school. It is precisely the English language that has enabled my sister and me to have a better life, and give something back to the world. If it hadn’t been for those early English classes I wouldn’t be where I am today, and more importantly I wouldn’t be able to share my knowledge with other people. I have joined the Hands Up Project because I am aware how powerful a tool the English language can be. Not only is it a way out of poverty, but also a way into the magical world of creativity and never-ending discoveries. 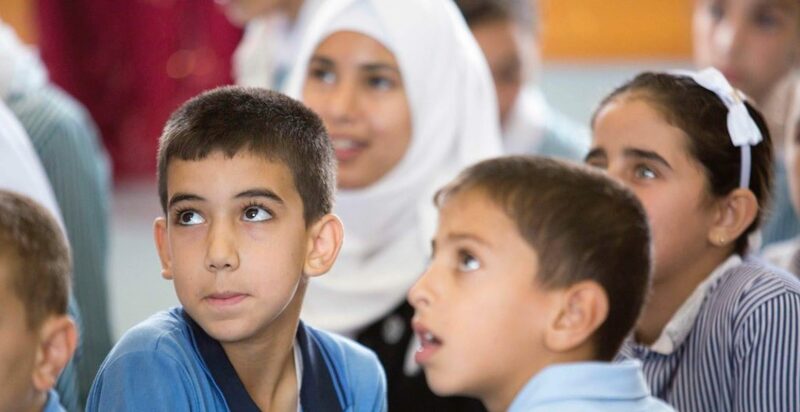 For children from Gaza, Palestine and other war-affected areas it is a chance for a better future, it is joy, and it is a chance to express themselves and be heard. It is a chance to escape the dreary reality and step into the extraordinary word of storytelling and cultural exchange. HUP is much more than merely teaching English. We are opening the world of possibilities for them and they are showing us how amazing their own world is. We are them establish connections with children from other countries to which they would otherwise not be able to go. They can dream and fantasize during our classes and their courage grows with each word they learn or every time they tell us that they want to become writers, teachers and doctors. They travel with us and through our stories and they teach us so much about simplicity of life. They remind me of how spoiled and ungrateful I sometimes tend to be. As I have said there are so many things that have happened during my sessions with them, all the smiles, all the songs and all the pictures they draw, but I wish to focus on three stories that are very dear to me. As you know the level of English of our students makes it impossible for us to delve into some serious topics, but during one particular session there also was an older student. I forgot her name and age but I will never forget her words. I remember her saying she wanted to be a translator, but she may well be a reporter with her natural aptitude. I asked her how children feel about living in Zaatari refugee camp. She explained what the camp initially looked like and that it grew into a city. She said that children who came there young couldn’t remember their home so they were blissfully unaware of their past. The camp is their reality. However, those who were forced to come to the camp at an older age remember everything. Vividly. They remember their homes, the street they played on, and their friends. Those children miss their old way of life. Those children are not used to their present reality nor will ever be. I barely managed to hold back tears as she was telling me this. We need to improve their reality, we need to show them that there is more to life. One day, at 5 o’clock in the morning I received a phone call from Nick. He told me that several bombs were dropped near the school and that the session was cancelled. I couldn’t go back to sleep. At the beginning of the next session I secretly counted my students and sighed in relief. Another time, nobody responded to my email and the session wasn’t held. Later a teacher told me that the Israeli snipers gunned down peaceful protesters and that countless had been killed or injured. I had to wait for a full week before I could count my students again. You see, I don’t want to have to count my students. I want to count their smiles. One of the highlights of my involvement in this project has to be the class when we had so many different nationalities and cultures present. Three teachers were involved: a Japanese teacher of English Nick who was in Britain at that time, and me from Belgrade. We linked teenagers from Brazil with younger students from Palestine. We tried to control the class but teachers were eventually forced to step down because children took control of the class by simply talking to each other. They talked about football, food, weather, and even some very difficult topics like war. A student from Palestine asked whether they had war in Brazil, and at the end of the discussion they agreed on wanting world peace. There was no place for politics, nor anger and hidden agendas. There was simply an abundance of love and respect and innocent curiosity to understand a new culture. We the teachers were merely silent observers. They say that it is a teacher’s goal to become unnecessary, and I hope that after each session they will need us less and less. Tell the world that we do much more than teaching, tell the world that we are more often than not students in our classrooms, and please never forget these three stories. I know that I certainly won’t.